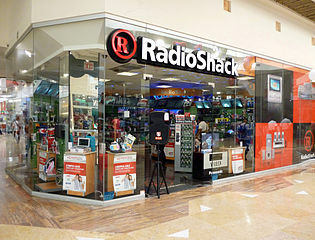 A Radio Shack store in the Plaza Caracol shopping center on Boulevard Francisco Medina Ascensio in the city of Puerto Vallarta, Jalisco, Mexico. Photo by Coolcaesar. Michael Frerichs, Illinois treasurer, has succeeded to get Radio Shack, a consumerelectronics company that filed for bankruptcy last year, to pay $140,000 in rebates that were never cashed. The money is owed to over 5,000 Illinois residents. The Radio Shack bankruptcy should not affect their ability to pay, as the government already has the money in hand. Since rebate checks not claimed within five years are considered unclaimed property according to Illinois state law, Frerichs pursued Radio Shack to pay off their customers. One of the roles of the treasurer in Illinois is returning unclaimed property. The rebates were used to help convince consumers to make purchases between 2002 and 2008. Radio Shack agreed to the terms of the settlement when Frerichs auditors saw that the company and its rebate fulfillment provider, Global Fulfillment Services, did not report the unclaimed rebate checks. However, it is still not known how much of the $140,000 will actually be returned to Illinois consumers. That number will depend on how well the state can locate those entitled to rebates, and then getting the rebate money to them.